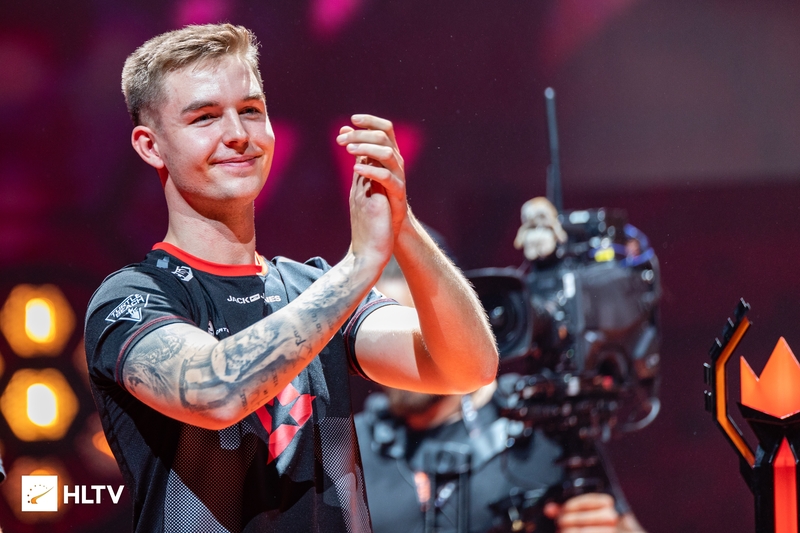 Astralis have proven themselves as the best CS:GO team that the scene can offer after winning FACEIT Major London 2018. And, they did so in classic Astralis fashion. The Danish team cruised through the entire Major and went undefeated in the playoffs in front of a sold-out Wembley Arena crowd, and hundreds of thousands more watching from around the globe. Up against Natus Vincere in the Grand Finals, Astralis made the second-best CS:GO team in the world look mediocre at best as they stomped them 2-0. In the process of winning FACEIT Major London 2018, Astralis also made a whopping $500,000 USD and claimed their second Major title after ELEAGUE Major: Atlanta 2017. Have We Yet to See Astralis’ True Form? It seems like Astralis did not have to perform at their peak in order to win the FACEIT London Major 2018. It was smooth sailing, even though they had to qualify for it. They only lost one map, that being Inferno, versus a very good team Liquid, who is capable of beating anyone. However, Astralis did not go down without a fight, as they almost managed to write history. They were down 13-2 on halftime of Inferno, and they managed to climb back to a tie. Unfortunately, they did not win a single round in overtime. 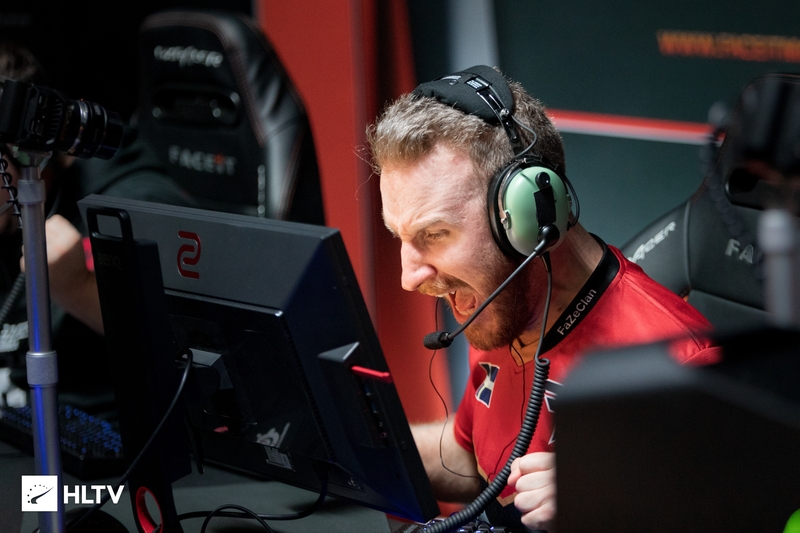 On the other hand, Astralis did break a record this Major after trashing MIBR 16-0 on Dust 2. After that game, everything just seemed smooth sailing for them. Another fascinating thing them about Astralis on Nuke is that they are 18-0 on the map at the moment. At this point, there’s just no reason to try to play Nuke against them anymore, especially Natus Vincere, who dropped 0-4 on Nuke against the Danes. But then again, it’s not like the team is worse on Inferno, as their utility usage on the map is just so perfect that teams would be better off just giving up and continuously eat one grenade and molotov after another. Why Are Astralis So Damn Good? To start off with, they never focus their game on one player. You can agree with me when I say that anyone from their team deserved an MVP award, even though Nicolai “dev1ce” Reedtz claimed it. Everyone stepped up once called upon, especially Peter “Dupreeh” Rasmussen and Lukas “gla1ve” Rossander. Despite their individual skill, they are focused on utility usage and map control, however, they will always make a percentage play and, perhaps more importantly, they barely take any gambles. It also helps to have a really strong AWPer in dev1ce, who has the best positioning in the world. But, make no mistake, they weren’t born like this. Astralis’put in the time and effort to be this dominant, and they deserve to pride themselves as the best CS:GO team in the world. The final question though, is did Astralis give it their all? I certainly do not think so. Other teams just couldn’t challenge them at all, and it’ll be scary to think just how good Astralis will be once they play to their absolute best. FaZe were on the verge of elimination as they struggled to get a win. They were dominated by both, Na’Vi and team BiG. However, after their horrible start, Nikola “NiKo” Kovač decided to take an IGL role from Finn “karrigan” Andersen. The move did wonders for them. In the next two games, they were sitting on a 2-2 score as they bested Tyloo and Mousesports, then finally, G2 Esports. However, they had to face off Astralis next, and as much as they tried to play on par with them, they ultimately ended up falling short and were eliminated with a score of 2-0. Even so, there were definitely some positive in FaZe Clan’s game. Firstly, Olof “olofmeister” Kajbjer Gustafsson had a great tournament, having a +28 K/D difference. Secondly, Niko did a great job as an in-game leader. Karrigan used to call for late rotations and that cost FaZe a lot lately. However, with Niko in charge they had a clear game plan, and sometimes they looked really good. Will We See Changes in the Upcoming Days? Karrigan should be a brain of this team, but lately, he failed to deliver. He does not bring any firepower to this team, even though they do not need any. They need a person capable of leading, having a clear plan and strategy. I really think Karrigan has lost his way, and FaZe would be better off finding someone else to lead them. However, the case for Håvard “rain” Nygaard is a little bit different. Although he is a great anchor player, he seems to be out of form. Now, this might just be a temporary thing, and he could very well turn it up in the next tournament or two, but he’ll need to do that quickly if he is to prove his worth to the team. FACEIT London Major 2018 was aired for a total of 155 hours. In total, there were 57 903 514 views. CS:GO is one of the few games that was able to acquire over 1 million concurrent viewers in a single period of time, in this case, that was the final match that had 1 084 126 viewers. Some are still saying that CS:GO is dying, but you can clearly see that this is not the case. However, at the beginning of the tournament, a lot of things went wrong. There were delays all over the place, and barely any match started on time. Main problems were caused by PCs. Some teams even openly blamed organizers for it. Let’s take team North as an example. MSL went on a rant about fps in the game, headset problems, etc. But, in the end, all the teams played on the same setups, and some players blame others for their mistakes. After the qualifiers, everything was perfect to the detail. No games were delayed due to technical issues, everything was on point. Hopefully, organizers can learn from FACEIT Major London 2018 going forward, and make sure that all goes smooth sailing right from the very start. Everyone knows that team BiG is a dark horse on every major they attend. This was proven once again. They crushed FaZe 16-5 on Dust 2, they were simply brilliant. In the first week, Owen “smooya” Butterfield was rated as the best player of the tournament, with a rating of 1.31. However, after the first week, Na’Vi was too big of a bite for them, their star players did not join the server, especially Smooya, who was the best player week prior to this match. They were crushed 2-0 by the Ukranian organization. Even so, the team showed a lot of adaptability and individual skill throughout the FACEIT Major London 2018, and if they can play like this consistently, they definitely have a chance to be among the best teams in the world really soon. Everyone knows how good Özgür “woxic” Eker is on an AWP, but I do not think many of you knew how good Issa “ISSAA” Murad was. He was brilliant in qualifiers as they advanced to the main tournament. They were eliminated in the quarter-finals by team Liquid, where they performed well, but not good enough. Once this team bonds together, they will cause a lot of problems to other teams, as they showed some of it versus team Liquid on Dust 2. Another team that had to qualify for the FACEIT Major London 2018. They played a great tournament, as they dominated some experienced teams like Fnatic and BiG. They have some great prospect players in the likes of yay and Android. However, their lack of experience cost them their quarter-final place, as MIBR won 2-0, in a dominating fashion. If they keep playing like this, we will see them on the main stage really soon. Could this be the end of an era? I think it might be. Fnatic had an awful tournament, especially some of their core players. They lost to team Complexity, where they only won 4 rounds. After that, they were able to beat Winstrike and Vega Squadron, but they were dominated by Na’Vi. In their decider, they had to play against Hellraisers, as they were dominated once again. Even though they managed to come back on Mirage, they had no game plan, and they relied on individual skill to guide them through. Hellraisers took advantage of that, as they sealed the series with a 16-2 display on Cache. After their elimination, the team announced that they will bench Robin “flusha” Rönnquist, but I do not think that he will be the only player Fnatic will try to remove. William “draken” Sundin had an awful tournament as well, but to be honest, overall he does not bring much to Fnatic, especially because Jesper “JW” Wecksell had to grab a rifle in order for Draken to make an impact. Either way, the future looks bleak for the Swedish team. The end of the FACEIT Major London 2018 will bring a lot of changes to certain teams. Some of the teams failed to prove their worth, while, some surprised everyone. Some say that this was a very boring Major because Astralis plays “boring” type of CS:GO. However, someone will definitely try to create a team in order to take Danes down from their throne. But one thing is certain, Astralis will always be at the top of the CS:GO scene. At least, until someone else steps up and snatches the throne away from them. What do you think was the biggest takeaway from the FACEIT Major London 2018? Do you think another team will rise up and take Astralis down a notch? Be sure to let us know your thoughts in the comments down below.